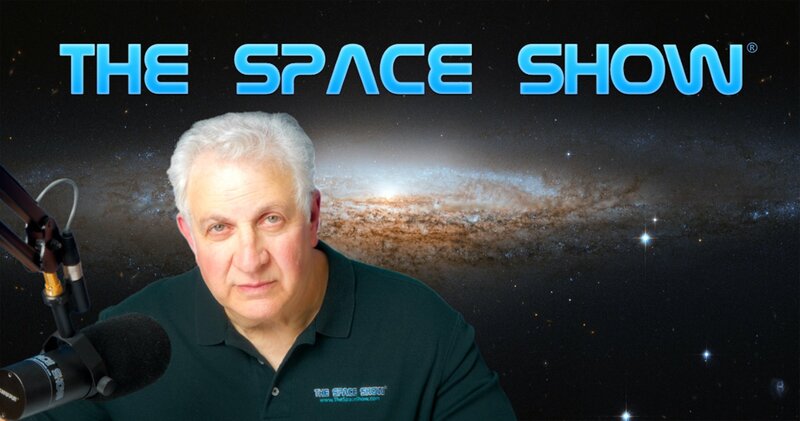 We welcomed Dr. Rachel Seidler to the program for a one segment 71 minute discussion regarding changes in the brain white matter as a result of human spaceflight. Dr. Seidler's recent paper on this subject is titled "Spaceflight-Associated Brain White Matter Microstructural changes and Intracranial Fluid Redistribution." You can find the paper at www.ncbi.nlm.nih.gov/pubmed/30673793. During the first part of our discussion, I asked Dr. Seidler to go over some of the terms we would be using in our discussion including brain white matter, gray matter, spinal fluid, cortex, microstructural changes and fluid redistribution. Our guest also talked about using special MRI exams (not the type we would get at the doctor) to help detect and understand these changes. After going over the terms, we focused in on the problem, causes, why it matters to study it, the possible impact on human spaceflight and more. For example, our guest was asked about longer flights than say just a shuttle flight from years ago or a 6 month stay on the ISS. We also talked about how being on the Moon, on the way to Mars, or on Mars might change what we know about spaceflight on the brain. As you will hear, there is a real need for lots more information because so little is currently known about the brain and spaceflight. We talked about how the research was done on Earth by using analog models plus the need for on the job real time space research. Rachael talked about using bed rest studies as a good analog for brain studies but she stressed that the sample size for both men and women astronauts in space was so small that it was hard to make broad statements about human spaceflight and the brain. In discussing this, our guest noted some possible areas of concern included cognitive slowing down, motor control impairment of legs and other parts of the bodies, a deterioration, possibly slight but known for sure, of certain essential skill sets and more. She received several questions about everything returning to normal once the astronaut was back on Earth. She said they followed the astronauts for up to six months after their return form a mission. Most of the changes did return to normal but she did point out that while in space, the brain floats to the top of the skull. This situation takes time to return to normal in 1g . Our guest said more information was needed on this matter alone. Artificial gravity was discussed in detail along with centrifuge issues. So was the issues of stress and workload and the fact that on the ISS, everything is for the most part o a 24/7 schedule. Our guest talked about this representing environmental challenges. Don't miss what she said about these environments. As a result of this discussion, John in Freemont called to talk about cognitive issues based on sensory tools, white matter changes and then reversing the cognitive changes back on Earth. Rachael went into great detail about minor and major cognitive changes and what we know about them when the astronauts come back to Earth. Don't miss this discussion. Terry emailed in a set of questions about spaceflight impact on child development. You might be surprised by what our guest had to say about this in her detailed response to Terry. She also talked about accepting risk and spaceflight being adventuresome. For example, how much riskier and adventuresome can you get by sitting in a capsule on top of a rocket loaded with tons of fuels ready to ignite and shoot you off Earth! Marshall called wanting to know if there was any sign that astronauts came back to Earth dumber than when they left on their mission. That is, could an astronaut return stupid. Dr. Seidler said that had not seen that happen but again, she pointed to some minor changes that do take place. This brought up IQ tests and spaceflight. Don't miss what Marshall and our guest talked about regarding this theme. Connie in Seattle sent in a note inquiring about psychological along with nutritional impact on brain changes in spaceflight. Our guest talked about other research going on in these areas saying that the subjects were actively being studied. Other topics discussed before our program ended included NASA and ESA artificial gravity experiments, noting one going on in Germany on which Dr. Seidler has an experiment. Before the show ended, we talked about student interest in her research and human spaceflight. Please post your comments/questions on TSS blog for this show. You can reach Dr. Seidler through me or faculty page at http://hhp.ufl.edu/about/faculty-staff/seidler_rachael.